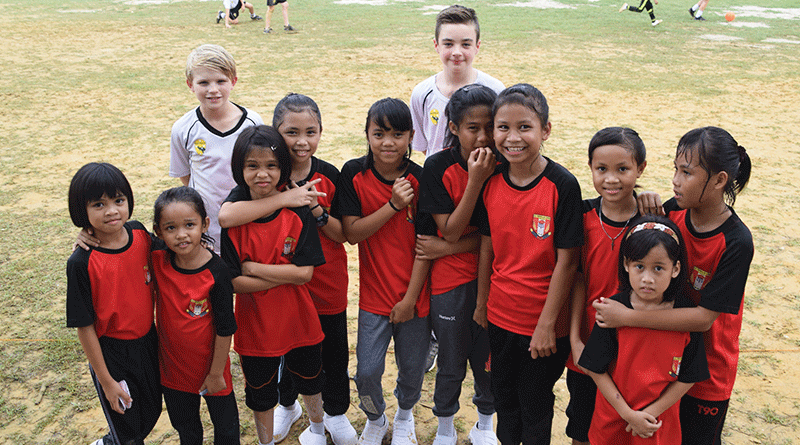 YOUNG Clarence sportsmen Sam Curtain and Reuben Bradford have recently returned from Malaysia where they represented Australia in the Futsal Zaifica Cup held in Kuching. 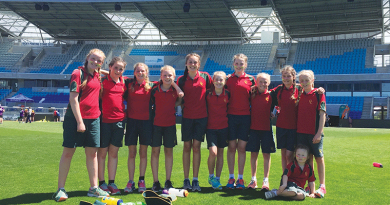 Following a National School’s Competition in Brisbane last year, the Lindisfarne Primary School students were selected for an Australian Representative side, which visited Malaysia for 12 days. “I was very excited and also proud of myself for being selected from a large group of players,” Rueben said. The boys played in two competitions, taking out the win in the first competition but losing in the grand final of the Zafica Cup. Rueben said the trip was exciting, especially as he was able to play futsal and see and engage with local cultures. “The most fun parts were going to the local schools and seeing how different they were, and seeing how lucky we are to have what we have back home,” he said. The boys’ parents accompanied them throughout the whole trip, watching the games and engaging in local tourist activities. “The boys both played extremely well and were excellent ambassadors for Tasmania and Australia,” Mr Bradford, Rueben’s father, said. Mr Bradford said a trip highlight was engaging with the Malaysian crowds at the games, who were a “wonderful, happy and supportive” group of people. 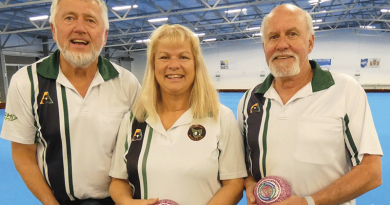 Both Rueben and Sam’s parents were also invited to play in a parents’ match against the parents of the Malaysian team. “Unfortunately, we lost the parents game,” he said. Before the cup, the boys visited S.K. Pengkalan National School deep in the jungle where some of the locals had never seen people of European descent before. The school’s futsal court was an outdoor pitch of mixed mud, sand and grass levelled by the teachers. 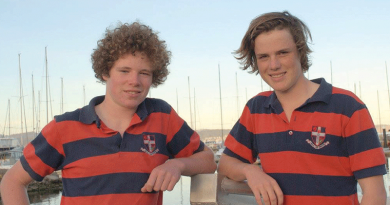 Sam and Reuben’s next challenge comes in January 2019 where they will represent Tasmania as part of the state team. 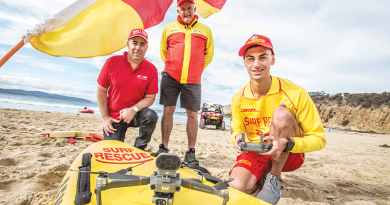 Sam and Rueben were financially supported on their trip with a quick-response grant from Clarence City Council. “Council supports the community in many ways, and we are very proud of what these young athletes have achieved and look forward to following their future successes,” Clarence Mayor Doug Chipman said. Caption: Sam Curtain, left, and Rueben Bradford with young locals in Malaysia.